I normally post our wedding teasers to my Facebook page, but since these two aren't on Facebook, I had to also do a blog teaser! 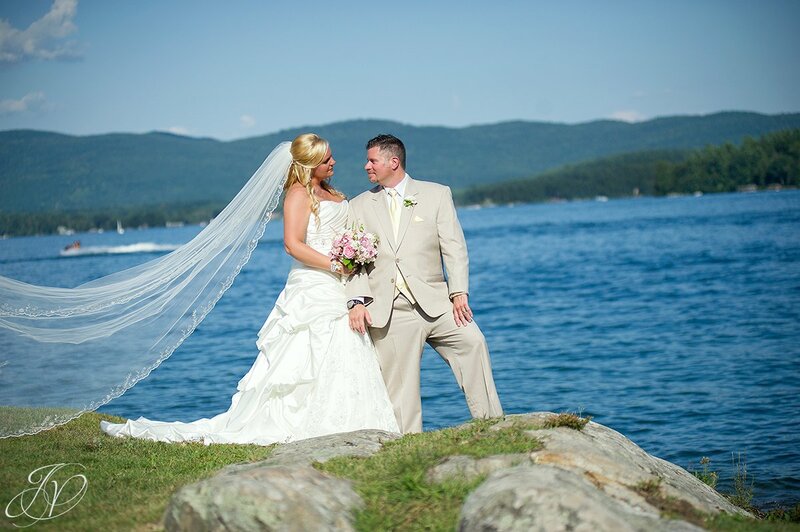 Rebecca and Dan tied the knot at The Inn at Erlowest in Lake George on Friday. It was a gorgeous day! These two were so much fun to work with! We also had the pleasure of working with some of the very talented ladies from Make Me Fabulous and DJ Mike of Music Man Entertainment who rocked the reception! Here's a few quick favorites from the wedding. Stay tuned for the full blog soon! Congrats Beck and Dan! Thanks for letting us be a part of your day! Have a blast on your honeymoon! I love this shot of Becky on the way to the ceremony - she is so gorgeous!! There is lots more to come from this wedding, but I'll end with this gorgeous black and white for now. The boat came by at just the right time!